So I have owned my Miata for a little over two weeks now, and I am questioning if I am starting to develop snob-like tendencies. This is the first RWD car that I have owned, and I currently own a Mazdaspeed 3. While I love both cars very much, I have pretty much settled that the Miata will be my go to for trips up to Highway 129/The Dragon/ Deals Gap. The first time I took it up there I was delighted with it, and actually thought it was faster than the MS3. When I took it back last weekend, that proved to be false. I was trailing behind a buddy who was in his tuned Integra. Although I was having a blast, sliding around, diving into corners, he was pulling away from me. He later confirmed that with me as he said in the past he really struggled to keep up when I was in my MS3. 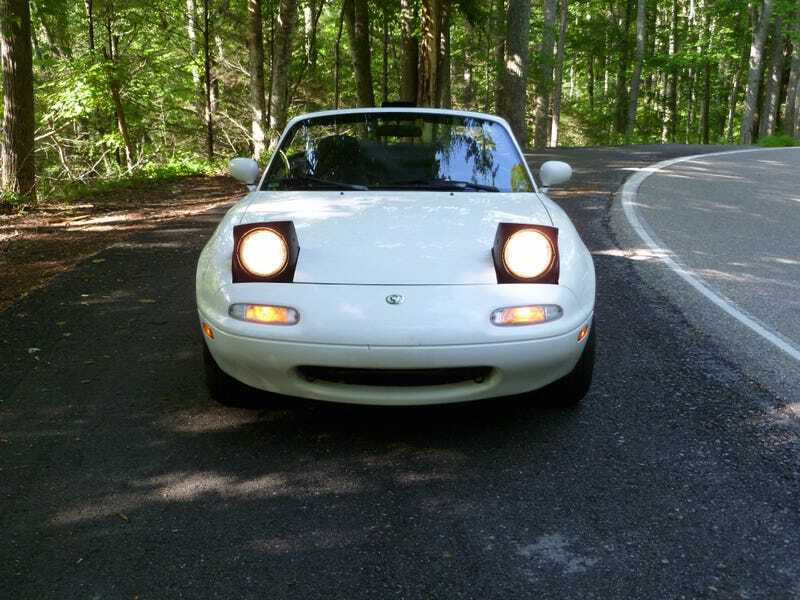 Despite that I know the miata will be my dragon slayer/ touge machine. I don't think that is any sort of snobbery, as this is a public road, and it is not about going fast, but enjoying yourself safely. Regardless, I could see how people could start on a path that leads them to snobbery. That said, I AM a snob when it comes to automatic transmissions on cars produced before 2007 or so.